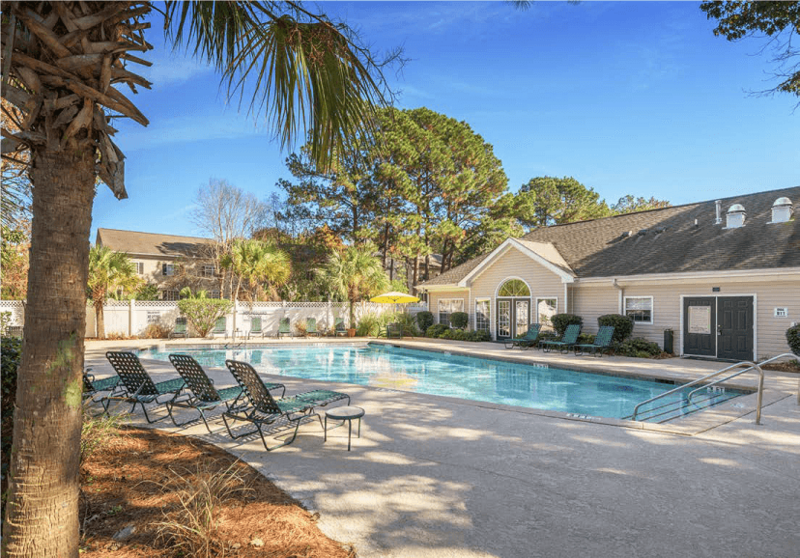 (ATLANTA – August 10, 2017) – The RADCO Companies (RADCO), one of the nation’s leading opportunistic real estate developers, completed its sixth acquisition of 2017 with the closing of Woodbridge Apartment Homes Charleston, South Carolina. This is RADCO’s 72nd acquisition since 2011, its seventh community in South Carolina, and its second community in the Charleston market. RADCO plans to spend over $3 million, or approximately $15,000 a unit, on capital improvements to modernize the community and reset its economic clock. RADCO financed the acquisition with private capital and assumed existing Freddie Mac debt. Since August 2011, the Company has raised approximately $550 million in private capital to fund its acquisitions, making it one of the largest private capital companies of its type in the nation. Radius at West Ashley is favorably located in the heart of the West Ashley submarket of Charleston, just minutes away from downtown Charleston, College of Charleston, MUSC, and the most beautiful South Carolina beaches. The community’s location and accessibility to major roads allows for an easy commute to the area’s major office facilities and employers, including Boeing. Additionally, Charleston was also recently ranked the 8th best place in the United States for economic development and job growth with an unemployment rate of 5.3 percent in 2015 and an average projected employment growth of 1.9 percent per year through 2018. Built in two phases in 1972 and 2003, Radius at West Ashley is situated on 16.4 acres and consists of 11 three-story buildings. Averaging 990 square feet, the spacious garden-style apartments offer a range of one-, two-, and three-bedroom floorplans. The community amenities include a swimming pool, clubhouse, modest fitness center, and expansive greenspace. RADCO plans to transform the look and feel of the property through significant building renovations, unit interior upgrades, and enhancements to common area amenities. Interior renovations will include updated cabinetry, upgraded appliance packages, new flooring, modern lighting, hard-surface counter tops, and designer paint. Amenity improvements will feature a clubhouse remodel, expansion of the fitness center, adding a fire pit/grilling area, upgrades to the community pools, and installing a package concierge system. RADCO also plans to initiate thoughtful landscaping and hardscape additions, along with exterior lighting upgrades, concrete repairs, HVAC and water heater replacements, updated signage, and a community-wide new and modern paint scheme — all of which will drastically improve the property and our residents’ living experience.